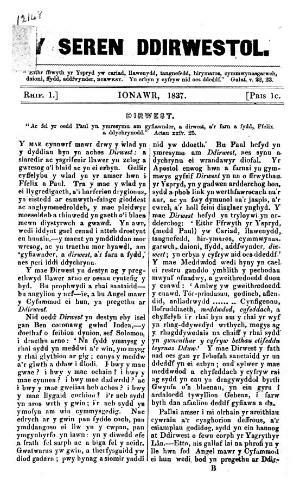 A monthly Welsh language temperance periodical mainly circulating in north Wales. The periodical's main contents were articles on temperance, reports on the activities of the temperance societies in north Wales and poetry. From March 1837 onwards the periodical was edited by John Phillips (Tegidon, 1810-1877).